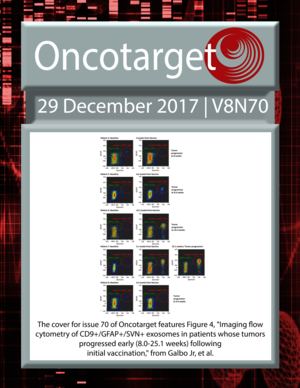 The cover for issue 70 of Oncotarget features Figure 4, "Imaging flow cytometry of CD9+/GFAP+/SVN+ exosomes in patients whose tumors progressed early (8.0-25.1 weeks) following initial vaccination," from Galbo Jr, et al. 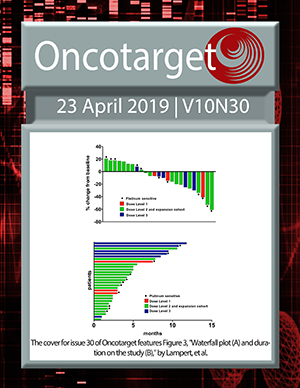 Tailoring treatment for MALT lymphoma patients: where do we stand now? Expert central review in lymphoma diagnosis. Is there a need?